Do you know the Greek word for anxiety? It literally means to pull oneself apart! I’ve always found that interesting because anxiety certainly leads to pulling myself apart. 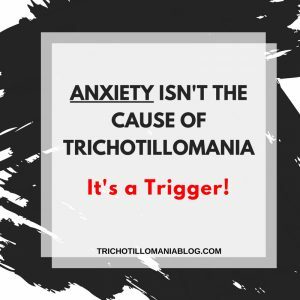 Is Trichotillomania Related to Anxiety? 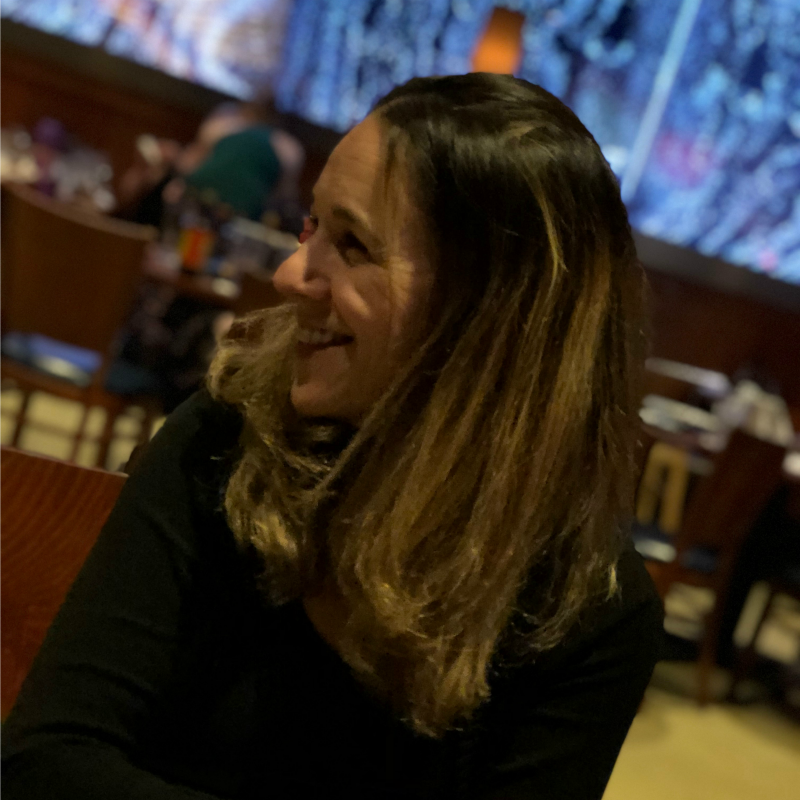 Trichotillomania can certainly be related to anxiety for some people…and I am one of those people. Anxiety leads to hair pulling for a lot of us because it’s a coping mechanism we use to deal with stress. Hair pulling is relaxing and soothing and that’s why I do it when I’m under stress and my anxiety levels are high. If I can keep my anxiety low, I can usually avoid having a major pulling meltdown. It’s usually in moments of high anxiety or extreme exhaustion that I pull my hair out. I’ve been able to find a natural supplement that helps me keep my anxiety low and that alone has lead to a huge reduction in hair pulling urges. 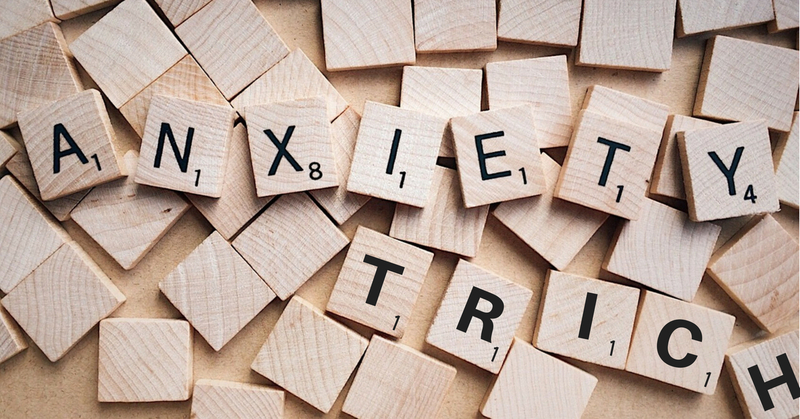 Is Trichotillomania An Anxiety Disorder? Trichotillomania is an impulse control disorder and anxiety doesn’t cause it, it triggers it. The cause of trichotillomania is different for a lot of us, but the triggers can be the same. Anxiety and being tired are the two that seem to come up the most. We all know that when you’re tired, that puts stress on the body and brain which also leads to higher levels of anxiety. 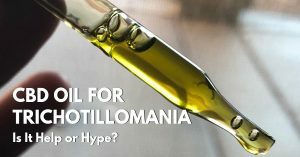 CBT therapy is the most commonly used approach to treating trichotillomania because it involves habit reversal techniques. If you can reverse the “habit” or the way the brain responds to certain situations, you can retrain yourself to do something else. It’s not an overnight process, and it doesn’t necessarily cure it, but it helps individuals manage it so it’s not debilitating. Social anxiety is a big one for a lot of people with trichotillomania because we have insecurities. Insecurities are normal, but when you have to cover bald spots or put on fake lashes because you have none – that’s a whole nother level of social anxiety!! 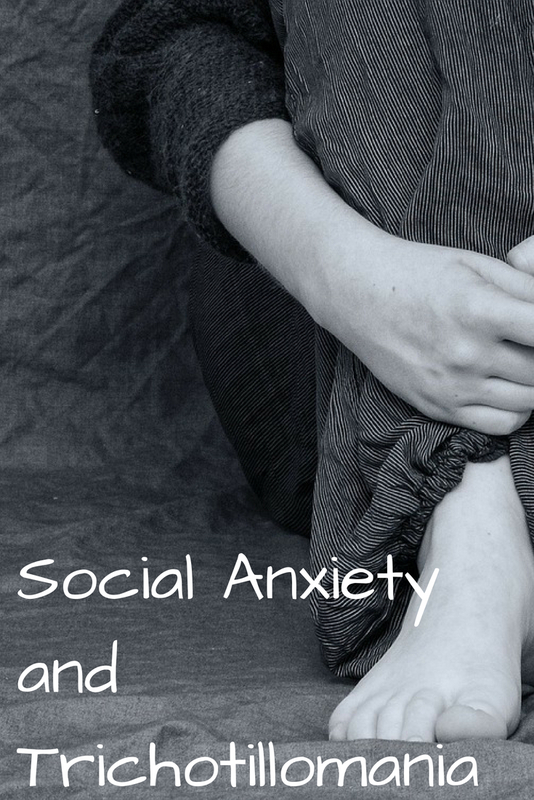 I had really bad social anxiety as a child and it would often lead to hair pulling and thumb sucking in class. The comments that I would receive from my peers (and even some teachers) was so rude that I tend to carry that with me still to this day.  Luckily for kids today, there’s technology like Keen bracelets to make them aware that they are pulling in class, so you can at least put your hand down before the whole class sees you. 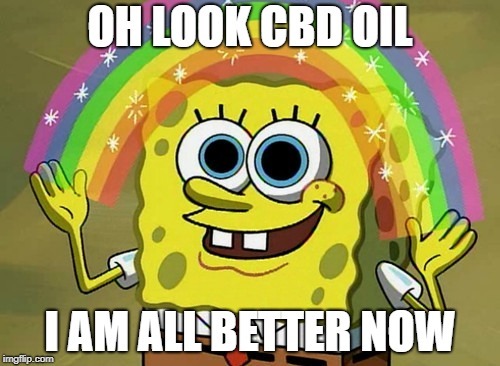 CBD Oil is an all natural supplement that works super duper fast! It is legal in all 50 states for adults, kids and even pets (yep, I give it to my dog too). This is BY FAR the most amazing supplement I have ever taken because it stabilizes my mood really fast. I got of anxiety medications 10 years ago because they were messing with my mind and my sleep, it wasn’t until a couple months ago that someone introduced me to CBD. It’s fairly new, but it totally stabilizes my mood right away. The only thing to be careful with when it comes to CBD is where you buy it. There’s a lot of bunk oil out there and you need to look for organic, non-gmo CBD oil that has NO fillers or artificial ingredients. When you use good oil, you don’t have nasty side effects and you’re getting PURE oil, not watered down goop. CBD has been a game changer for me, it takes my stress levels down from a 10 to a 2 FAST! What are you allowing yourself to think about? I suffer from OCD tendencies and my brain is a hard one to shut off. If I allow myself, I can let my thoughts spiral into a state of anxiety that will having me ripping all my hair out. CBD oil helps calm my mood but what I think about determines my actions. Most bad thoughts turn into crappy actions. If I think I’m a failure, worthless, not good enough, fat, ugly, stupid – that just fuels my fire and the pulling frenzy starts. Changing thoughts from negative ones to positive ones makes a big difference in my anxiety, self esteem and overall helps me pull less. I hate when people tell me to do something that involves diet but what we eat does contribute to anxiety. Sugar is a huge contributor to spikes in mood and it should be avoided whenever possible if you have trichotillomania. Naturally we can’t all live in a whole the rest of our lives and stop eating sugar but you can make a few adjustments I’m sure. It’s not easy to just stop eating it, but if you’re serious about lowering your anxiety, remove as much sugar as possible, it helps. Caffeine is a stimulant and it will increase anxiety for a lot of people who are prone to it already. In the morning I have been taking CBD oil with my one cup of coffee and that has helped me a lot. 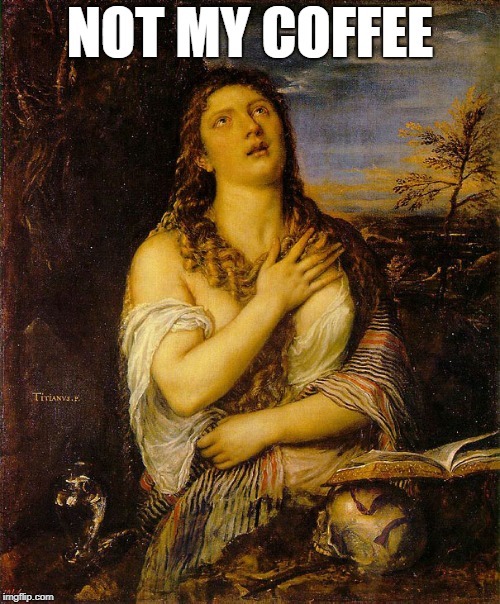 I used to drink 3 cups of coffee and I was NOT taking the CBD – that was not a good start to any trichsters day I’ve learned. Drinking any sort of soda is “no bueno” – that’s sugar and caffeine – a recipe for pulling. Reducing caffeine has helped me feel less anxious altogether, and I pull less as a result of less coffee. I have a good friend and a supportive husband so I know that when I’m weak, they will be there to lift me up. The trick with anxiety is not to isolate yourself but to find someone who can help take you down a few notches. 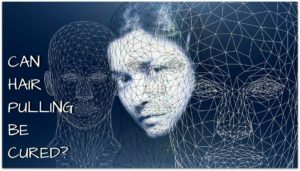 If you genuinely don’t have anyone at all, join an online support group and post in there. There’s lots of people to talk to in there and guess what? They understand because they trichotillomania too. Love me some support groups, I’m a huge fan of them. If you’re feeling anxious, find someone to talk too, support is one of the #1 things a person with trichotillomania needs. While anxiety is not the root cause of trichotillomania, it’s definitely an influence. Anxiety makes the urge to pull more intense and it fuels a whole bunch of other fires  that cause hair pulling. Reduce your anxiety and you’ll reduce your hair pulling. It may not take away the urges completely but it will help you make better choices when the urge is there. 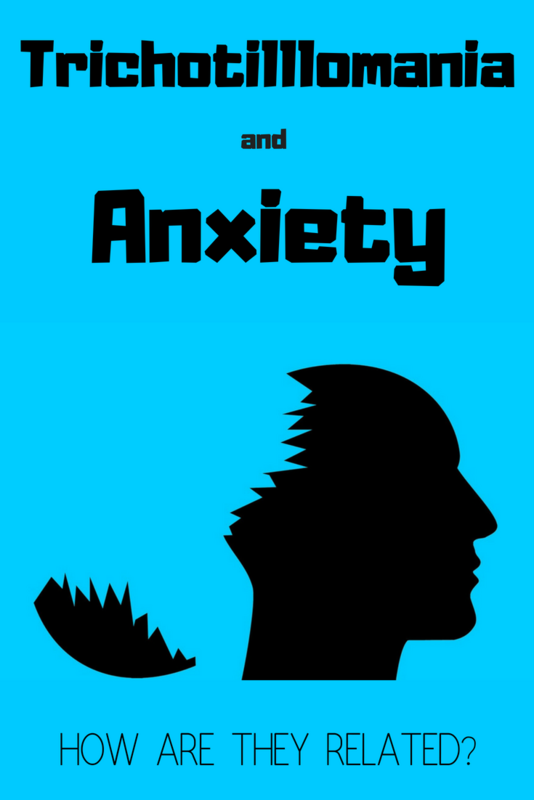 The Greek Meaning of Anxiety - And Why Someone with TRICH Might Care to Know! Hair Pulling and Postpartum Depression - How My Trich Came Back! 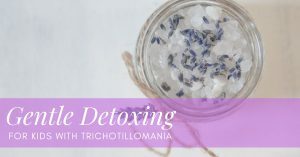 Trichotillomania And Stress Is Your WORST Enemy! 5 Ways To Defeat It!